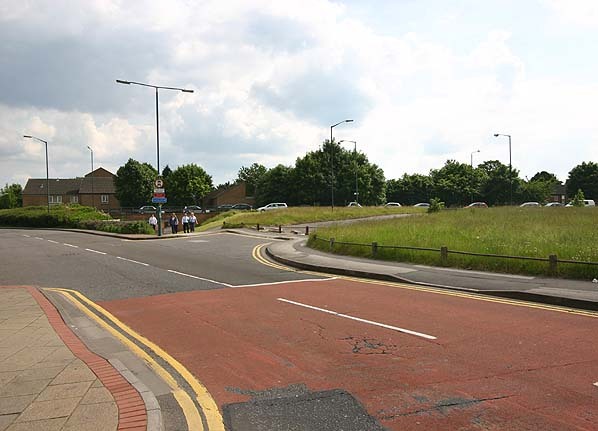 Notes: Arkwright Street was one of the few stations on the London Extension that didn't have an island platform. 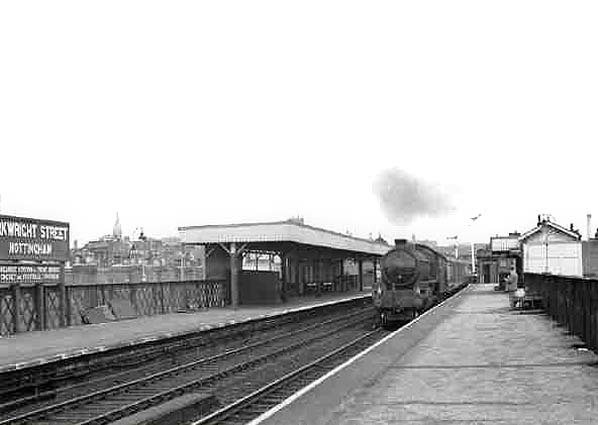 It had two side platforms built onto the viaduct spanning Arkwright Street. 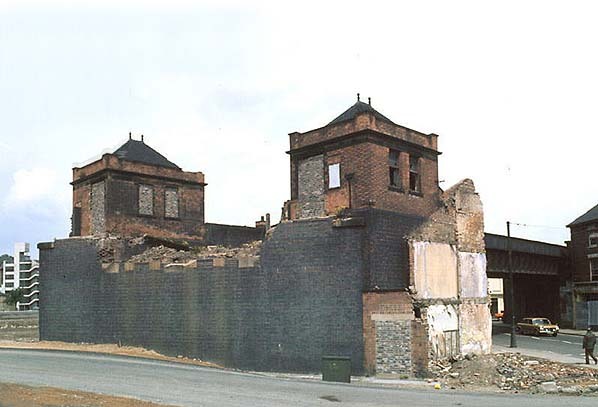 The entrance and booking office was at street level in Crocus Street where two brick towers housed the stairs up to the platforms. 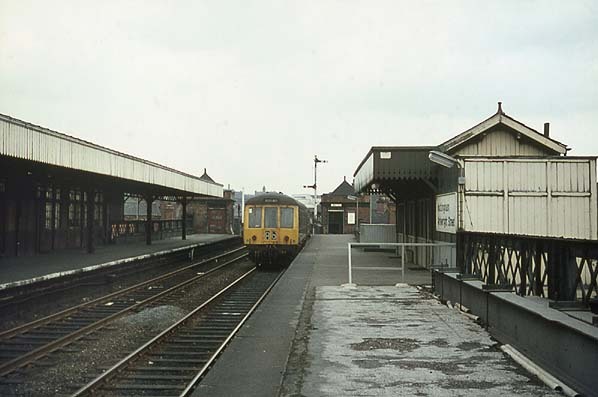 The platform buildings were constructed largely of timber with the main building on the down side platform (towards Nottingham) and a waiting shelter on the up side. The station never had goods facilities. A loco shed was opened with the line south of Arkwright Street station on the east side of the line. It was a 4 track straight dead-ended shed with a northlight pattern roof. Facilities included a ramped coaling stage a water tower and a turntable. Although recorded as closed in 1907 it continued in use as storage and servicing at least until 1953. Arkwright Street closed with the country stations on 4th March 1963 but reopened on 4th September 1967 as the terminus of the line from Rugby following the closure of Nottingham Victoria. 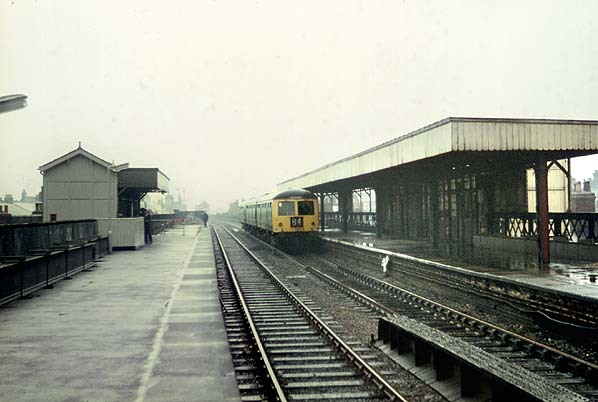 It remained in use until closure of the line on 5th May 1969, The station and viaduct were demolished early in 1975 and today no evidence of the station can be seen. Too see other stations on the Great Central Railway between Sheffield Victoria and Aylesbury click on the station name: Aylesbury, Waddesdon, Quainton Road (1st site), Quainton Road (2nd site)**, Calvert, Finmere, Brackley Central, Helmdon, Culworth, Woodford Halse, Charwelton, Braunston & Willoughby, Rugby Central, Lutterworth, Ashby Magna, Whetstone, Leicester Central, Leicester North***, Belgrave & Birstall, Rothley**, Swithland****, Quorn & Woodhouse**, Loughborough Central**, East Leake, Rushcliffe Halt**, Ruddington, Ruddington Factory Halt, Nottingham Victoria, Carrington, New Basford, Bulwell Common, Bulwell Hall Halt, Hucknall Central, Annesley South Junction Halt, Hollinwell & Annesley, Kirkby Bentinck, Tibshelf Town, Pilsley, Heath, Staveley Central, Renishaw Central, Killamarsh Central, Beighton (1st site), Beighton (2nd site), Woodhouse Junction, Woodhouse*, Darnall*, Sheffield Victoria & Sheffield Bridgehouses.